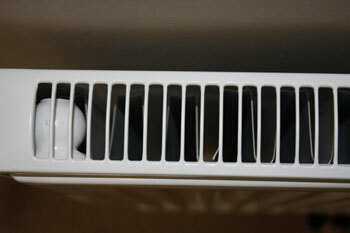 Untreated, the water in radiators (the primary water) will rust and damage the radiators from the inside out. This causes sludge and debris build up which in turn reduces or stops the heat circulating and makes your heating more inefficient. There are several steps that can be taken to resolve this problem. Chemical Flush – we will introduce a chemical into your system and leave it to work for several days before draining the system down and refilling it using a suitable inhibitor to stop further degradation. PowerFlush – for more serious build up a machine is attached to your system, as well as the introduction of a chemical, which sends high pressure water around the system to break down any debris. MagnaClean – this can be attached to your system to eliminate the iron oxide particles. This will lengthen the life of your system and increase your boilers efficiency. It is important to know that Power Flushes are not always required on systems, Buxton heating will always advise if your heating problems can be solved in a more cost effective way.